It was our first day of the MACJ postgraduate course. After a superb and hilarious lecture, I (mutually) made friends with six girls and went to a restaurant nearby. After having a good laugh about the common favourites, and a little debate over the ones we hated, we took a bus to the station. While standing in the serpentine queue for the tickets at the railway station, there was a strange lady behind us. She was a typical personality, with a short height, dark complexion, damaged teeth, a loose saree, and an unhappy, poor face. She started the conversation by asking if all of us were in the queue, and that's how we started conversing with her. In the middle of the conversation, we learnt a strange thing about her; her younger sister had lost her life, and so she was taking care of her daughter. The lady said she sold gajras (garlands) in order to fund her niece's education and living. Can you imagine that? This lady sells garlands the whole day, and whatever little she earns out of it, she uses for her niece's education. She showed us her marksheet of standard 12th, and we were shocked to see the marks--the young girl had scored 75+ in all the subjects! It is truly a heroic story, of the little girl and her guardian angel. In spite of poverty, the girl studied under the dim lights of her hut, with the torn second-hand textbooks, and even then, scored so brilliantly! On the other side, the lady, the poor, hardworking lady, who strove so hard to earn a living, was indeed a hero. We were shocked to know the story of this lady. She proudly said, "The way you girls are speaking in English, even my daughter speaks; she's very good-looking and intelligent." Two of my newly-made friends bowed down to her, and one of them hugged her as well. They were taken aback, and were proud beyond words. 1. 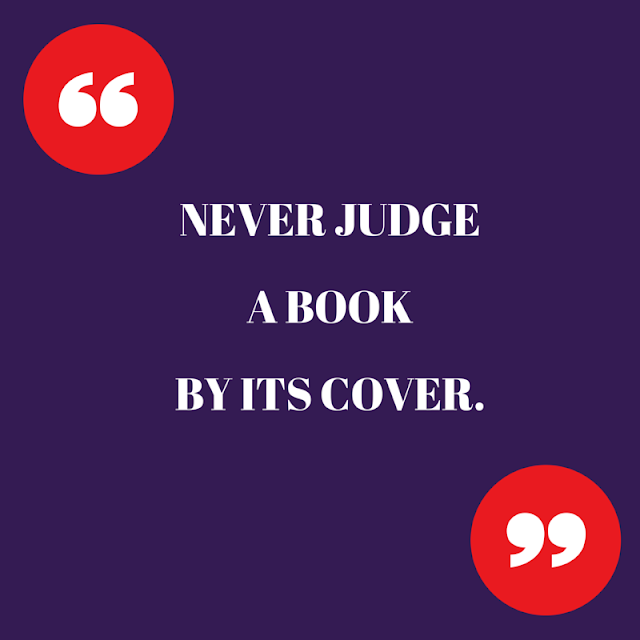 Never judge a book by its cover: This was said by the girl who hugged the lady. She exclaimed how happy she was and that we just cannot judge anybody by the way they look. There are deeper stories shoved in their hearts; some are trying to forget them; whereas some are living them. An average looking person could be tremendously charitable or helpful, and an extremely beautiful person can be evil and selfish. So, never judge anybody. When you're walking by station, there are millions of people; if you look closely at them, especially inside their eyes, you would know how they are struggling, or depressed, or trying hard to survive in this world. 2. Our parents sacrifice so many things for us: I'm glad I'm not one of those rude children who roll eyes at their parents or are irritated by their questions. If at all we cross over any topic, the anger is faded within an hour or so. Though I don't share every detail of my life with them, they still are my friends, and I know they've worked hard. At nights, I cry looking at their closed eyes. Some days, I thank God that they are still alive. Some times I look at their tired legs, and can't help, but cry. If you don't have that good of a bond with them, start working towards it now. A day might come when they no longer wake you up, and all the unsaid words choke in your heart. 3. People are not as good-earning as they seem: As I am from quite a well-to-do family, I never knew that the person I was with for so long does not have parents who earn like mine. She cannot get good clothes or good bags because she cannot afford them. There are problems in her life, and all I crib about is over some petty issue. I have realized that some people just smile from the outside, but the reasons for their dark-circles or stress is due to the financial problems or the hence-caused gloomy atmosphere in their house. I never realized why some people said "no" for a little expensive restaurant, or why do they keep on buying cotton bags, or why they never brought their parents to college or school. Not everybody is happy; not everybody is blessed with good parents, united parents, sound financial conditions, intelligence, technology, looks, or simply anything. We need to start understanding that. So the next time your friend is mum for the day, it is because of the one thing that's going on in her life. She will express it with you some day, when she feels comfortable and think you wouldn't judge her after that. Build trust between you two, and see how she opens up; that's when you would get answers to all your questions.